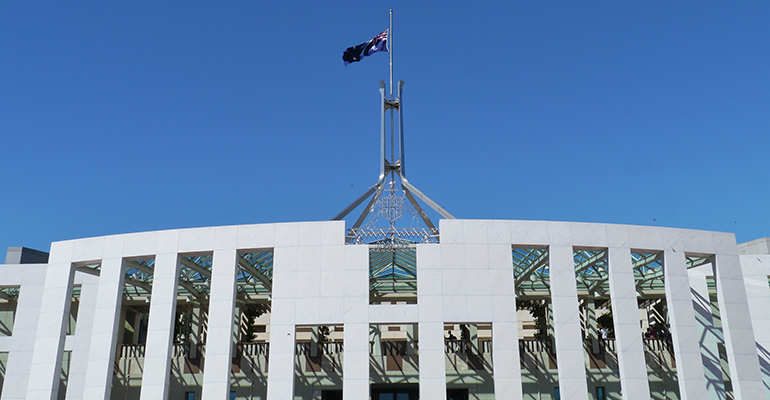 The government approach to electoral reform is not about good policy or real reform, it is about maintaining and extending political advantage, writes Community Council for Australia CEO David Crosbie. 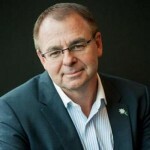 If the government was serious about banning overseas donations to political parties it could do that at the next sitting of parliament – both the Greens and the ALP support this policy. If they were interested in fairer and more transparent election laws and requirements, they could. Capped political donations, capped political expenditure and restrictions on who can donate are already in place in various jurisdictions across Australia. But these kinds of electoral reform measures may not be in the government’s political interest. Let’s start with current laws in relation to declarations about who has donated to which political parties. In Tasmania you don’t have to disclose any political donations to anyone. You can have your entire political campaign funded by owners of poker machines and no-one needs know – you do not need to make any kind of declaration about your sources of income or support. In the ACT and NSW all donations loans or gifts to political parties that total above $1,000 in an election year have to be declared. In NSW there is a cap on how much you can give and property developers cannot make donations. Victoria is currently introducing donation declaration requirements. The threshold for declaration of political donations in all other jurisdictions is a minimum of $1,000 up to $13,500 at the Commonwealth level. The inconsistency extends to whether or not political parties have any limits on their political expenditure and whether they have to complete any kind of declaration or return in relation to this expenditure. 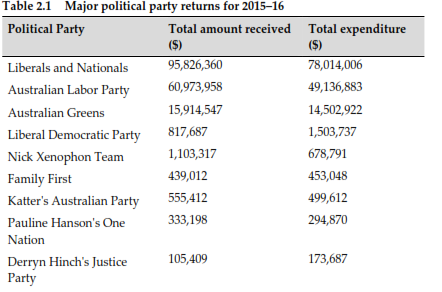 In the ACT, the maximum political campaign expenditure is $40,000 per candidate. Major parties usually stand 25 candidates across five multi seat electorates in the ACT which means the maximum expenditure of the major political parties in the ACT is $1 million in any election year. NSW and SA have expenditure caps per seat of $61,000 and $100,000 respectively. You can spend what you want in any way you choose in Tasmania without making a return. Other jurisdictions including the Commonwealth, ask for returns, but impose no limits. Across all the variations, electoral laws and regulations are important to charities for four reasons. Firstly, charities are the subject of some of these laws and many will be directly impacted. Charities advocating for a purpose that may become an election issue have to provide details of their advocacy expenditure to the Australian Electoral Commission if the amount spent on their advocacy activity is above the threshold for reporting ($13,500 in a year at a national level). This issue has previously been outlined in Pro Bono News and remains an area of confusion about what is counted as political expenditure and who needs to make a return. Secondly, a well-functioning democracy needs to have a level of transparency around who is supporting particular candidates or parties, so the electorate can make informed judgements. Voters need to know and understand the motives of candidates, the degree to which their policies reflect the interests of their constituency rather than their backers. Thirdly, the voices of charities matter and need to be heard in the political process if we are to get the best possible policies for our various communities. If onerous requirements and uncertainty are imposed on issues-based advocacy by charities acting in the public benefit and pursuing their cause, there will be a reduction in the willingness of charities to raise their voice and make their contribution to national policy making. Finally, it is important to recognise that charities often advocate for issues and causes that do not have significant resources. If organisations with the most money can and do have the most influence over politicians and policy making, the causes charities pursue will lose out. The Senate Select Committee into the Political Influence of Donations report released yesterday outlines a number of recommendations that could make elections fairer and more transparent. Recommendations include banning overseas donations to political parties and setting caps on donations and all election expenditure. The report is well worth reading. The government representatives on the Senate Select Committee produced a dissenting report which is quite revealing about the approach of the Coalition government to electoral transparency, accountability and reform. This dissenting report is arguing that a cap on political donations and political expenditure will silence candidates and amplify the voice of third party campaigners – like charities. And yet, in states and territories where such limits are imposed we see no evidence of this behavior. A better explanation of why the Coalition are opposed to these kinds of reform is revealed in the electoral expenditure returns from 2015/2016. The Coalition is raising by far the most money (50 per cent more than the ALP) and spending by far the most amount on their election campaigns (50 per cent more than the ALP). A political party this far ahead in resources and capacity to campaign is not going to be a champion for a more level playing field. The Coalition are very unlikely to support capping expenditure or capping donations. Similarly the big end of town who can and do exert significant influence through political donations and various forms of support to major political parties (like the gambling industry) are not going to support any reduction in their capacity to influence the political process. In practice, this Senate Select Committee report, and most of its recommendations, are unlikely to be adopted. Electoral reform is not new, caps on expenditure or donations are not new, restricting overseas donations to political parties is not difficult. All these measures could be passed through the parliament. But positive electoral reform is not the goal. Like a lot of national policy making in Australia, the government approach to electoral reform is not about good policy or real reform, it is about maintaining and extending political advantage. Electoral reform is not about better policy and a stronger democracy, it is about serving the interests of the most powerful political and economic players. It is about silencing critics and trying to ensure politicians frame the electoral agenda. Charities need to very carefully watch this space and protect their right to advocate for their charitable purpose. I have just finished reading “Democracy In Chains” and we need to wake up before it is too late. Big Money has no place in the political process. If *we* do not fight to weed it out of the political process then the society that we will end with will make the middle-ages look like a picnic.